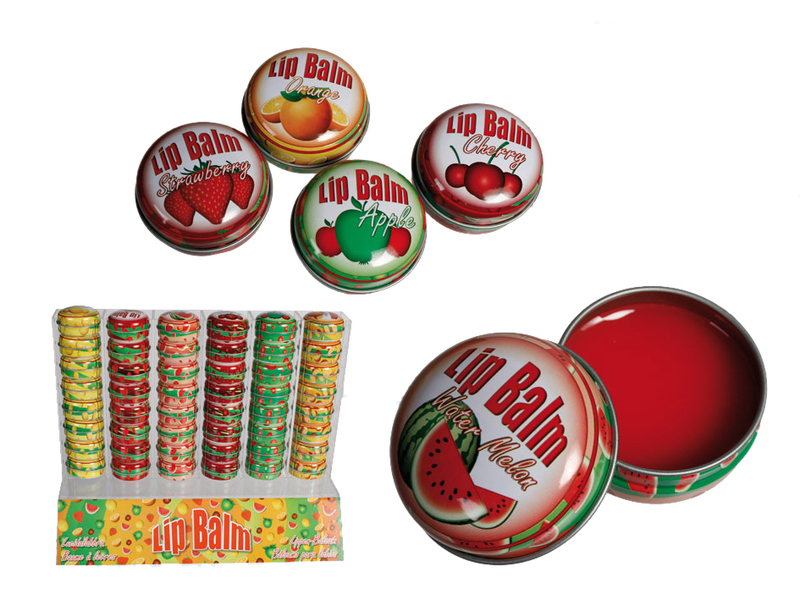 Fruit-scented lip balm in a handy tin box. Several delicious scents available. Capacity: around 15 g. Display stand contains 48 items. Dimensions: 4.5 x 2 cm.